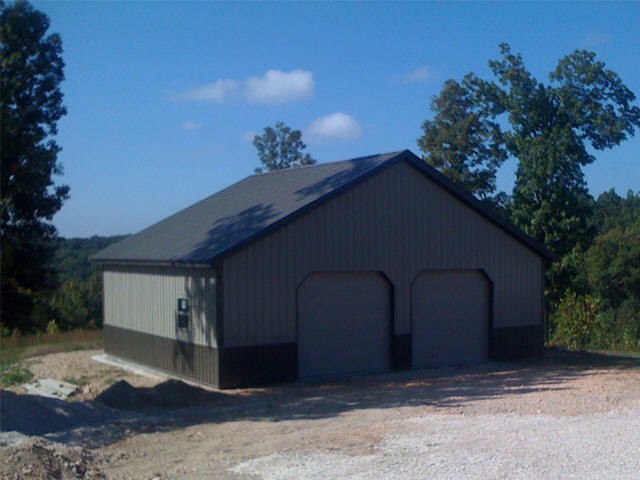 We are local metal building experts. 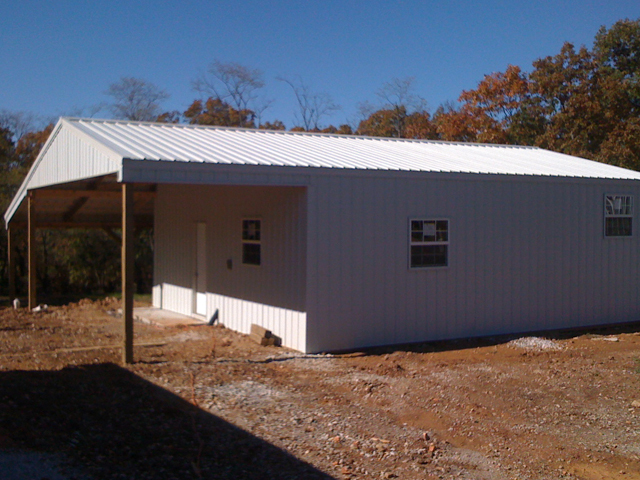 We sell, build and service all styles of metal buildings. We are a licensed General Contracting firm in good standing. We practice good will advertising and believe that the customer’s satisfaction is key to running a successful business. 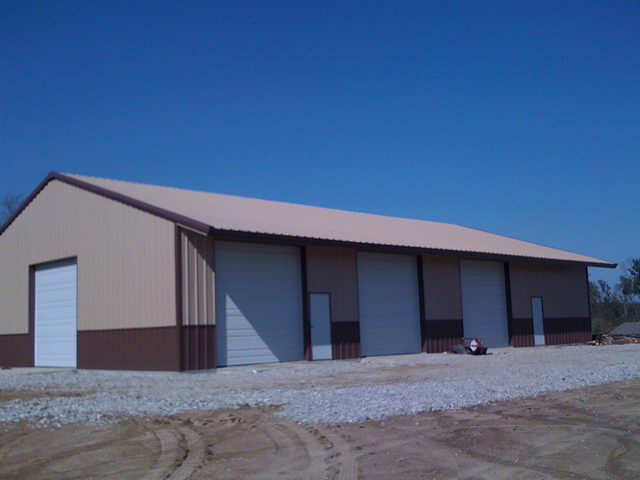 We specialize in building the “shell”, which is what most of our customers seem to be looking for. We carry general liability insurance, workman’s compensation, give lien releases and include a standard warranty with every building. We strive to be a low risk, high reward company for our customers. The shell consists of the following 6 parts of a building. 1. Dirt Work. Some customer jobsites are perfectly flat and do not need any dirt work. Some customers just need a little bit of red dirt (clay) brought in to create a red dirt pad. Some customers have enough land to work with that we can create a pad with just dozer time. Some customer jobsites need a lot of work to give them a starting point. Whatever the case, we can advise and give you options. Concrete block wall foundations can be built on 30% slopes where a traditional red dirt pad won’t work. Trees can be removed. Whatever your situation is, we can offer you a solution. 2. Concrete Floor. We build buildings that have simple floating slabs for concrete floors, and we also build buildings with traditional footings, pier and footings design, along with monolithic thickened edges. Our in-house expert can match the right concrete floor with your purpose and building style. 3. Rough-in-Plumbing. If you want to add a bathroom, we can have our licensed Arkansas Plumber install the rough-in plumbing into the floor before the concrete is poured. 4. Metal Building Kit. 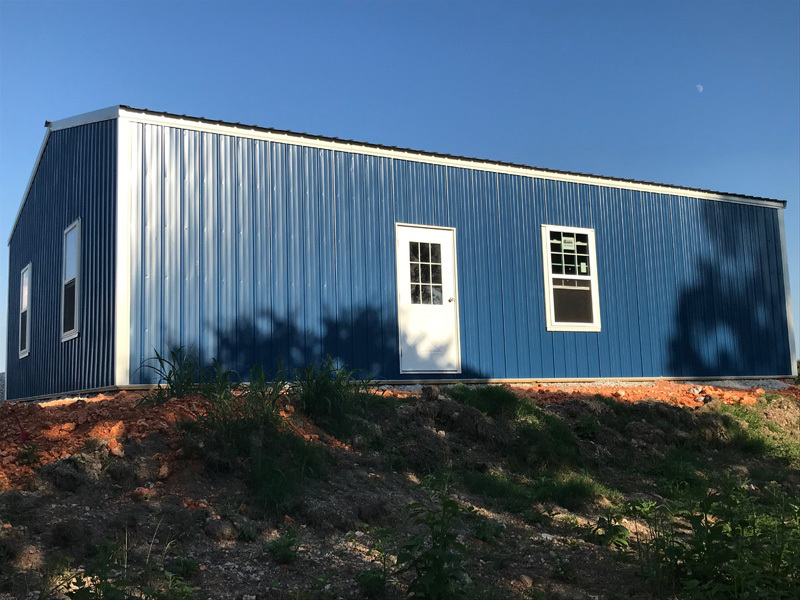 OMB builds Post Frame Buildings (pole barns), Red Iron Buildings (pre-engineered steel buildings), Stick Frame Metal Buildings (conventional stud wall construction), and Simple Homes (based on traditional stick frame technology). 5. Labor to Erect. OMB is fortunate to have dedicated professional crews. Our guys and gals are trained, professional and insured. Your building will come with a workmanship warranty and we stand behind our product. 6. Big Doors. Most buildings include the insulated overhead doors. 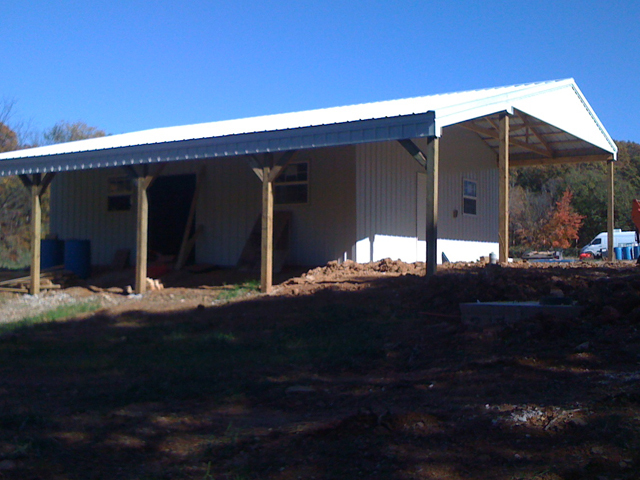 We also build the old fashioned sliding doors for horse barns. We can even match your homes existing doors. Once the shell is complete we have the customer in the dry. The building is now weather tight and can be locked up. This is a typical turning point in construction. The demanding sequence-critical construction timeline is complete. This is where most customers simply say “I’ll take it from here”. Electricity. It is easier to figure out the customers electric needs after the shell is up.